The Humanities Program in the J. William Fulbright College of Arts and Sciences is pleased to feature research on sociolinguistics in Brazil as part of its next Humanities Faculty Colloquium. Edvan Brito, assistant professor of Portuguese in the Department of World Languages, Literatures and Cultures, will present "The influence of race and regional origin on /s/ aspiration in a Rio de Janeiro favela." The presentation will take place from 4-5 p.m. Thursday, Nov. 30, in CHEM 144. The presentation is free and open to the public. Brito will discuss his research on language variation and identity in Rio de Janeiro favelas (roughly, shantytowns). Brito studies the variable of word-final /s/, focusing on aspiration. He compares /s/ aspiration in Portuguese and Spanish as well as analyzes the role of race and regional origin in sociolinguistic studies in poor urban communities in Brazil. 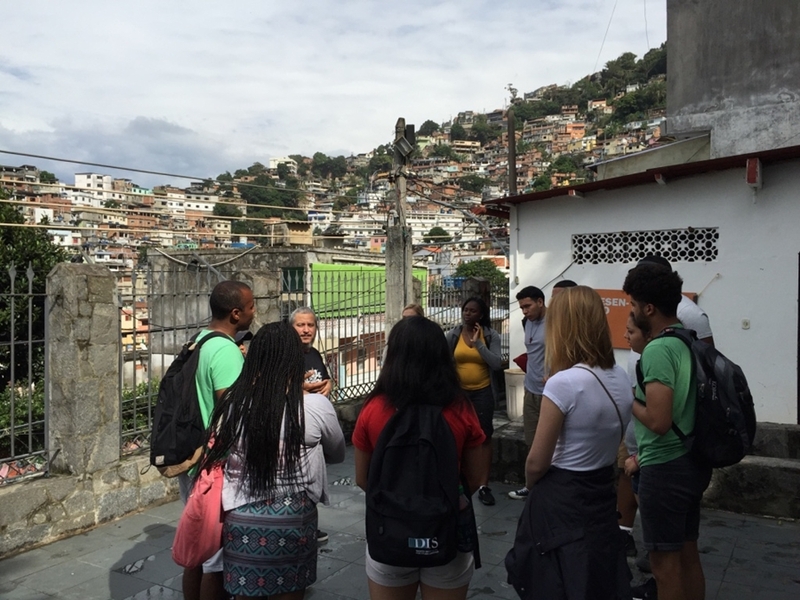 Brito employs a mixed method approach by utilizing quantitative and qualitative methodologies to understand the construction of identity and speech in Rio de Janeiro's favelas. A native Brazilian, Brito has also conducted significant research and teaching on issues of comparative race relations in Brazil and North America. Edvan Brito earned his doctorate in linguistics from Georgetown University, a Master of Arts in mass communication and media studies from Howard University, and a Bachelor of Arts in linguistics, Portuguese language and literature from the University of São Paulo. Brito taught at Dickinson College and the Defense Language Institute before joining the University of Arkansas in 2016. He has published widely on linguistics and Brazilian culture in English and Portuguese.